TIJUANA, Mexico — “People want a bit of land, to be able to study and to have hope for a better life,” said Bernard Deshommes, 32, from Port-au-Prince, Haiti. He left after the 2010 earthquake that destroyed his home, and relocated to Chile. “When people have public safety and sanitation, they don’t want to leave their country,” he told Truthout. He is now staying in a shelter at a Pentecostal church in Tijuana, Mexico, waiting to cross to the United States. Facing economic difficulties in Chile, Bernard is one of thousands of Haitians in South America who have decided to go to the US, which has offered temporary residency to Haitians since 2011. 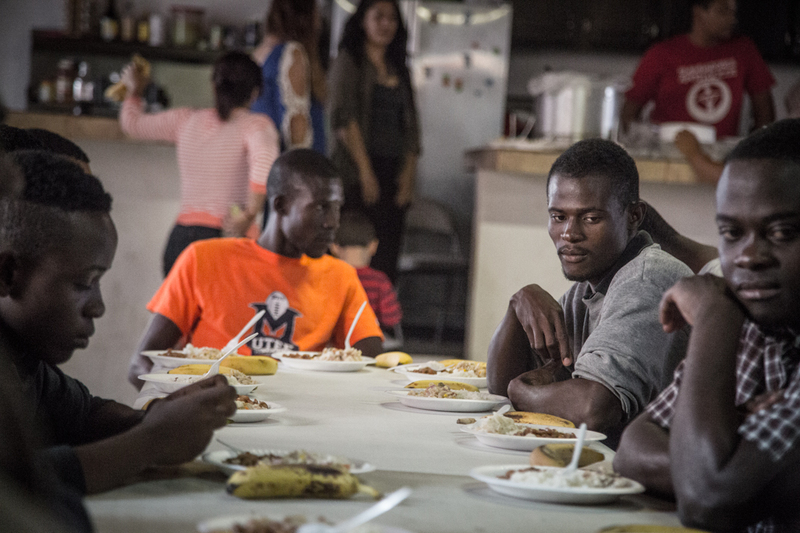 Bernard is among the 2,000 Haitians who have found themselves stuck in Tijuana, as a recent policy change has complicated their plans to reach the US: On September 22, 2016, the US repealed the Temporary Protected Status (TPS) that it had granted to Haitian immigrants starting in 2012 due to the humanitarian situation following the 2010 earthquake. Read the full report on Truthout. Thank you. This is a story that has not been widely told and needs to be.